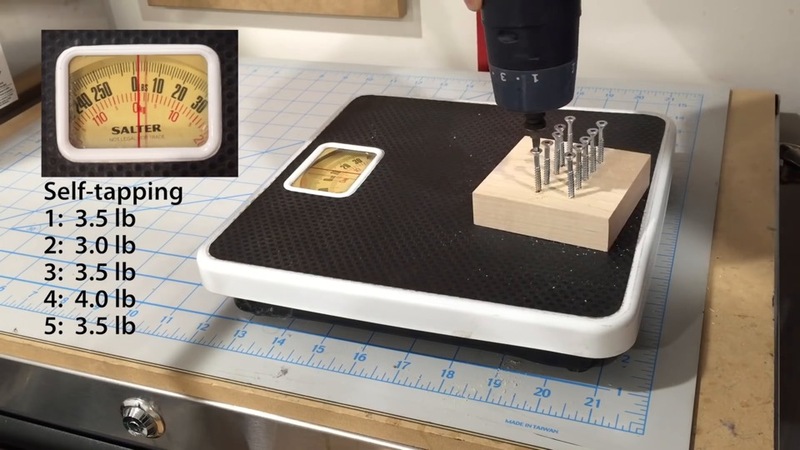 Self-tapping screws are supposed to be easier to drive than ordinary screws… but did you ever wonder how to make your own? 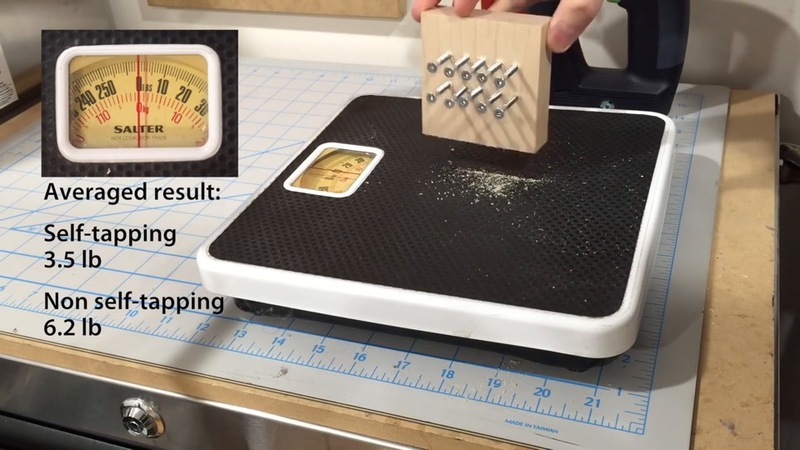 This video will show you how, and also quantify the benefits. 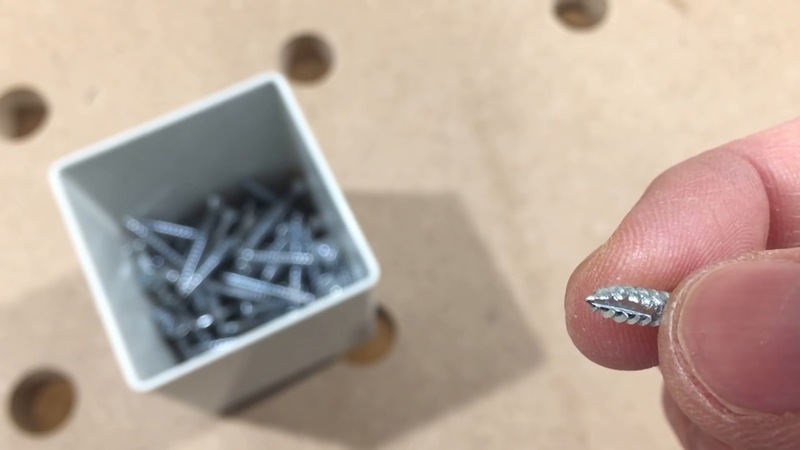 The other day I was looking at some screws. Specifically it was this self-tapping screw. 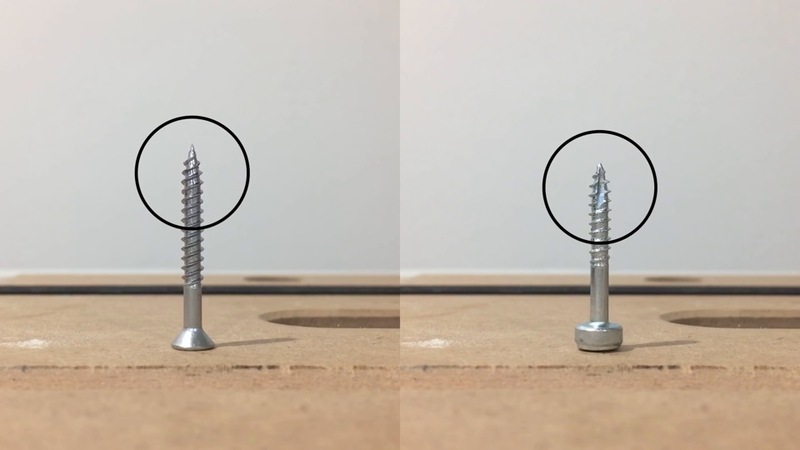 The difference between an ordinary screw, and the self-tapping screw is in the tip. 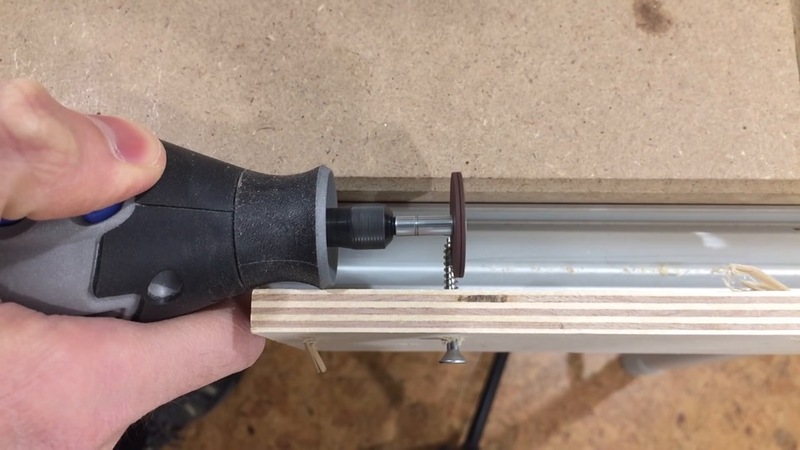 The self-tapping kind has a fluted design that’s there to cut out some material and allow starting the screw with less effort. 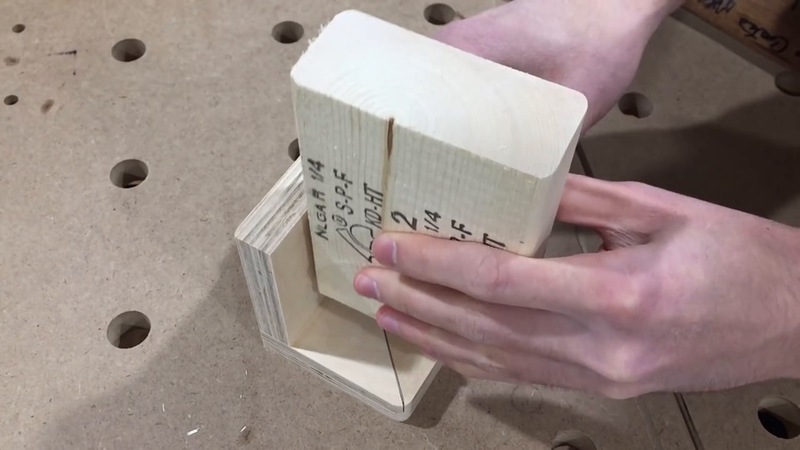 Studying the machine marks, it looks as though it’s made by a grinding wheel notching out one corner – actually a dead giveaway once you observe that one side is flat and the other is round. 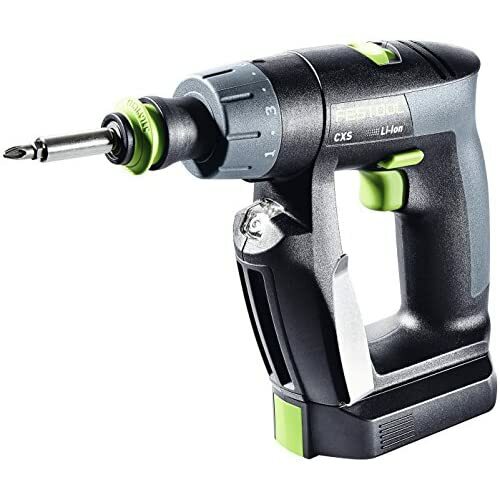 Dremel! 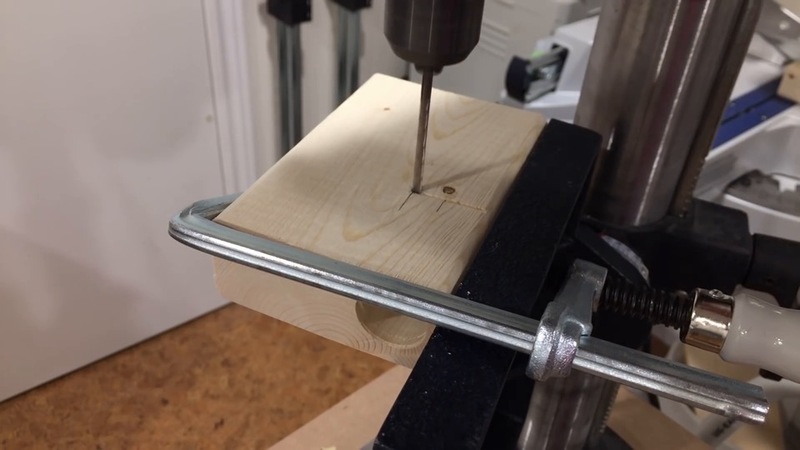 I started with a little proof of concept to confirm this tool is able to cut into the screw. I don’t know what the best rotation speed is for this, but I had success with around 10,000 rpm. Any faster and there were a lot more sparks. I was pleased that the Dremel had no trouble cutting the screw with this grinding disc. And actually I had two of the discs side-by-side to make the grinding edge wide enough to make the cut in one pass. Anyway, I sort of made a self-tapping screw now, but the freehand approach makes it difficult to get this result with consistency. 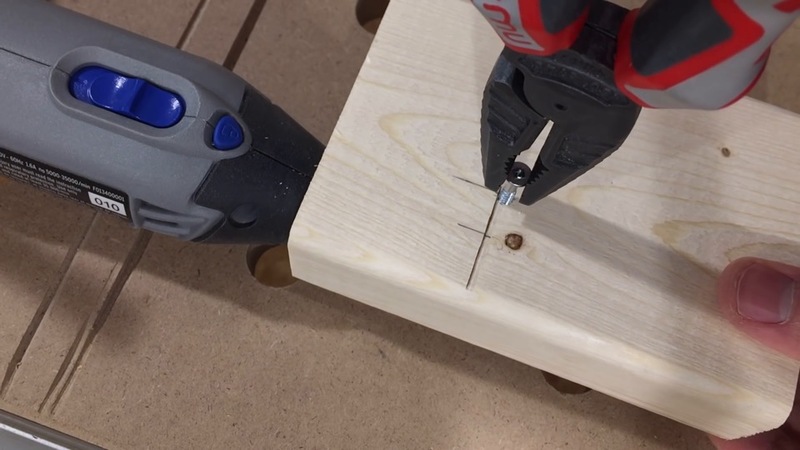 It would work a lot better if I could make some kind of custom Dremel attachment. 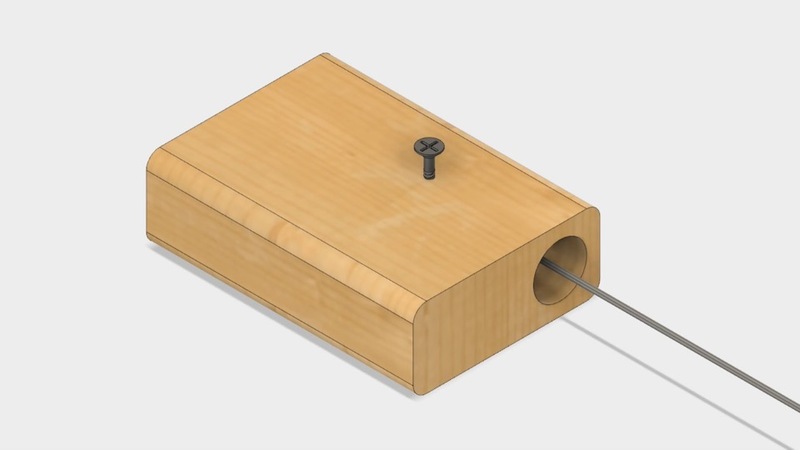 The idea being something like this, where one side accepts the tool while another hole on top guides the screw. 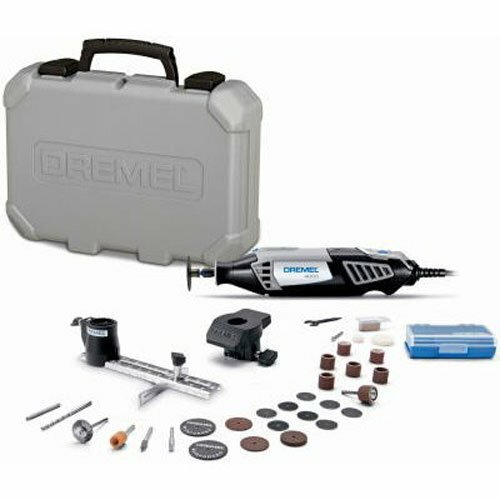 I’m looking through all the Dremel accessories for something I can use. 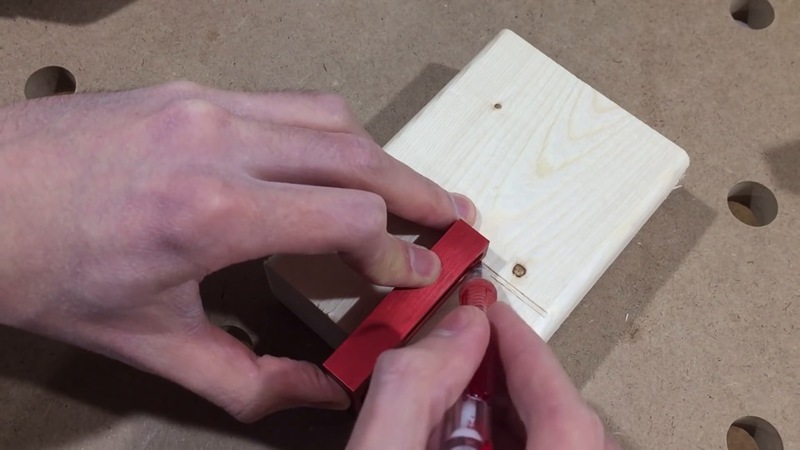 I think this piece will work. 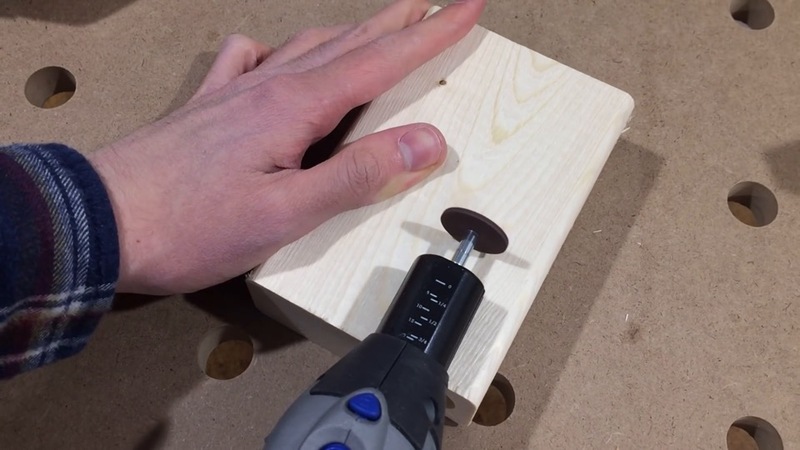 I measured it to fit snug inside a 25mm hole. I’ll build the attachment out of a small two-by-four cutoff. 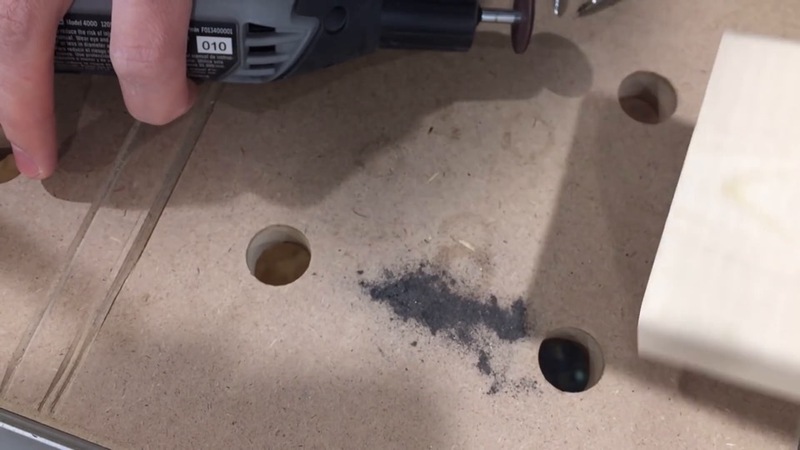 First thing is the 25mm hole for the Dremel. 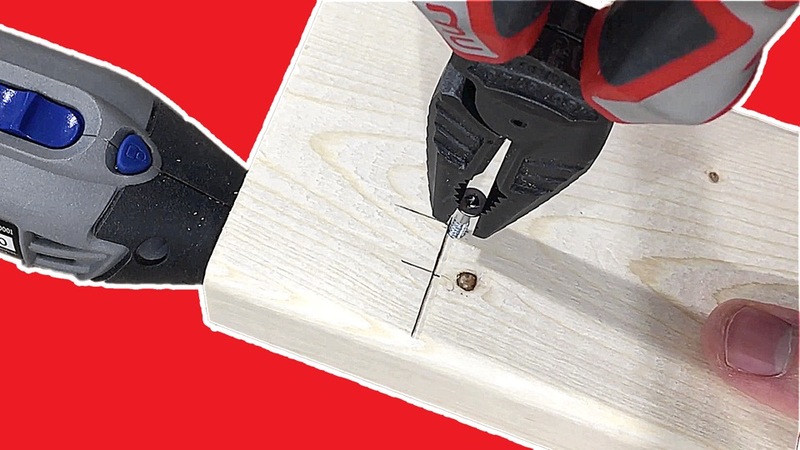 The right position of the screw guide whole can be tricky to locate. 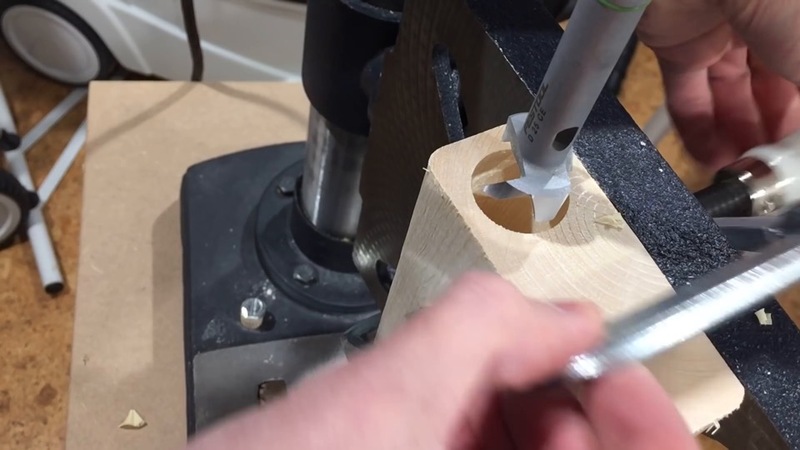 In this direction I use the Dremel to mark the expected depth of the cutting disc. 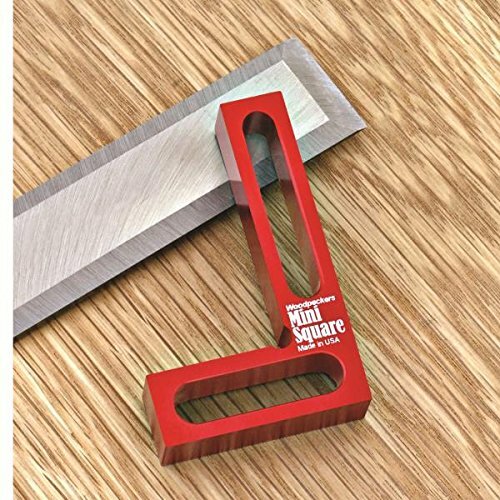 Then it’s careful layout work with a square to mark the expected cutting edge. 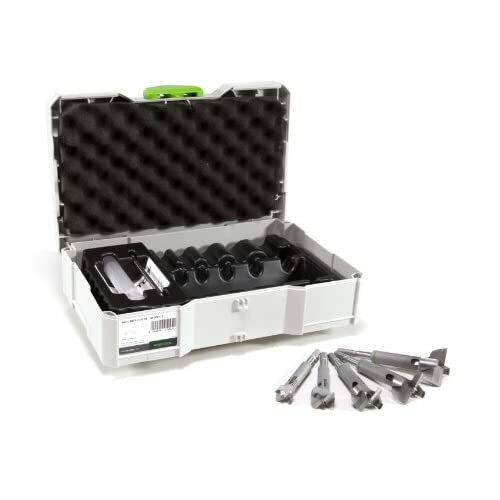 The aim is to expose exactly one quadrant of the screw to the grinding disc. 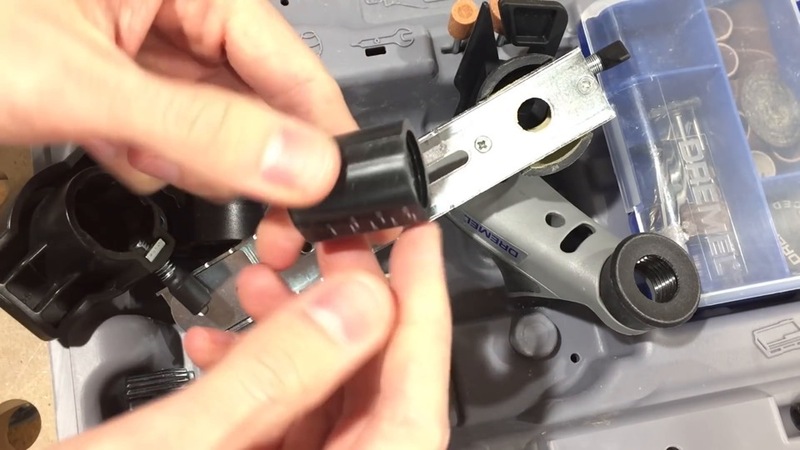 When all that works out, looking through the screw guide hole, it should look like this. Action! 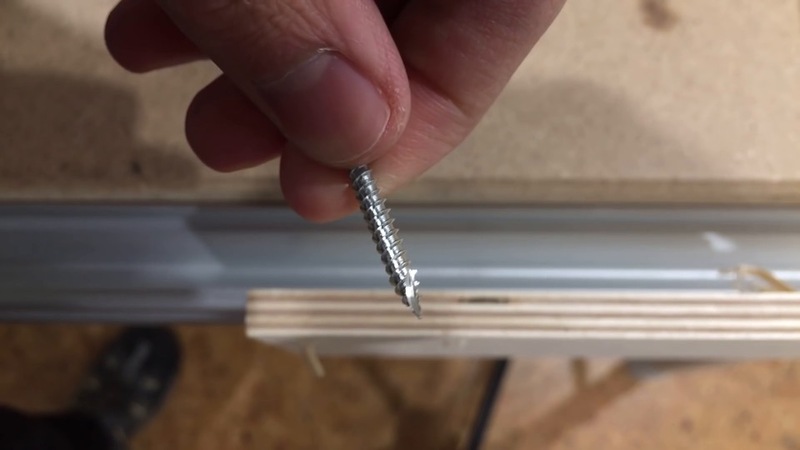 After all that, naturally I started wondering how much benefit there really is in a self-tapping screw, and I devised a simple test to try and measure it. 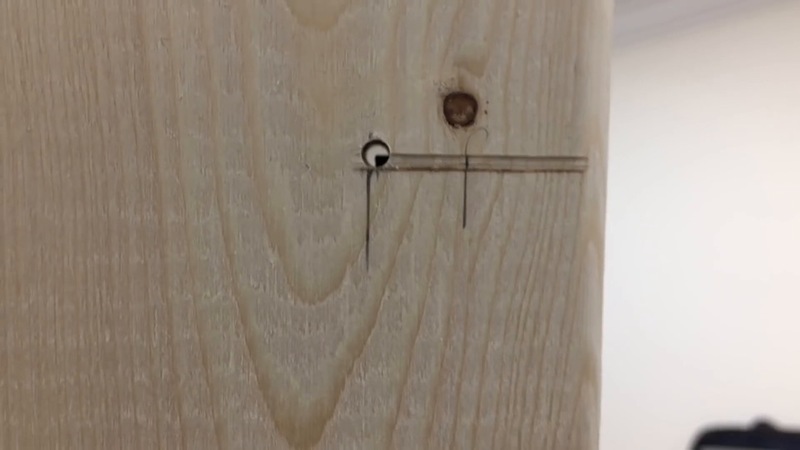 By driving a screw into this piece of hard maple placed on top of a bathroom scale, I can measure the pressure applied before the screw starts. 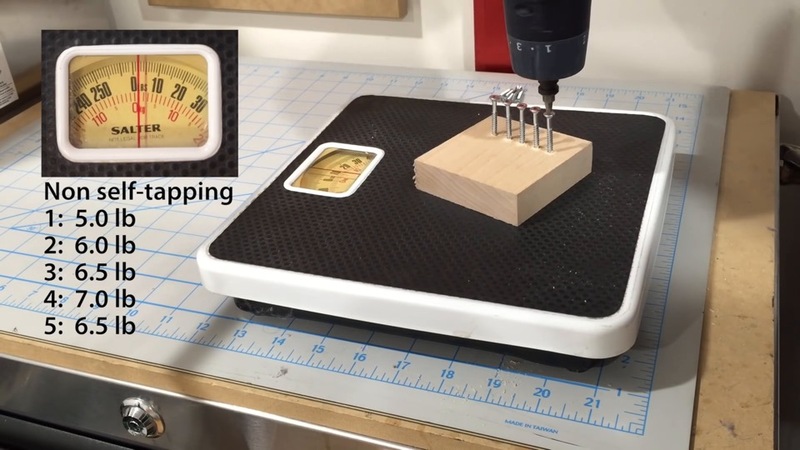 It look like on average with the self tapping screw, you’re applying 2.7 lb less pressure. Screw smoke… don’t breathe this.